On December 15, Mr Keith Twilley had a medical emergency. He was taken to the PRMC Emergency Room, and then moved to ICU. He has since been moved to Healthsouth to begin recovery/rehabilitation. Due to the medical emergency, he will be unable to work for some time. 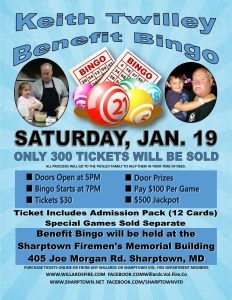 The Willards and Sharptown Vol Fire Departments have come together to put together this benefit to help the family with expenses while Mr Keith is recovering. Only 300 tickets will be sold. Admission is $30 and will include a 12 card admission pack. There will be special games sold on the floor. 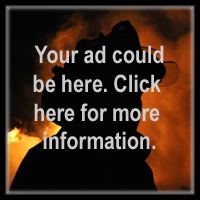 If you have any questions, message us here, or you can check out websites and Facebook pages.